SOMETHING SPECIALÂ there is about Gold. The highest Olympic medal is made of gold. In periods of instability,gold beats the dollar as a haven of Â sanctuary. It gives life to Fort Knox. It is a most precious metal. Little wonder there is , then, that 50th anniversaries- indeed such Â special ones are called- Golden Anniversaries. 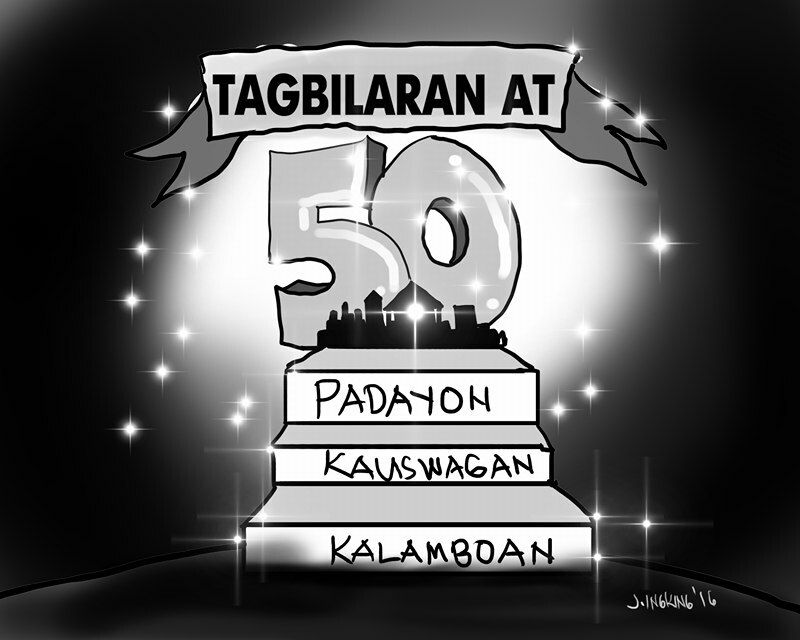 Â Today, Tagbilaran turns 50 Â -wiser and none the worse for wear. The historic Â date: July 1,1966 under RA 4660. Â We thank our three congressmen: Talio Castillo, Jose Zafra and Teddy Galagar for the effort. President Marcos for signing it into law. First charter Mayor Venancio Inting Â was eloquent when he Â said Â then “not all Â that glitters is gold.” , as it were. Â He said the moral rectitude of the people, more than infrastructure, is the rock bed of the community. For indeed, what does it profit a man…you know the rest. The city is a product of the choices it has made. And decisions were at the doorsteps of these city mayors who once served this city. Inting, Rolly Butalid, Jose Ma Rocha, Jose V. Torralba and Dan Neri Lim- each contributing to the city’s growth, Some more than others. Today – at the threshold of monumental progress- stands the youthful mayor Â Geesnell “Baba” Yap- reelected in a lopsided Â majority vote in May Â that is a lofty Â benchmark of the success of Â his first term of office. Â He is the today’s symbol of the three V’s – vim, vigor and vitality, so far. There Â are facts and Â there are propaganda. Â But Mayor Yap made the people of the city witness what positive change means and Â what dedicated planning is. “If you fail to plan, you plan to fail” – he had always said. To be sure, the city has progressed from the knowledge of the past and the “record of truths ” borne out of experience.And we should thank all past administrations for these. Today, from 11,000 voters in 1970, stands 60,000 opinionated voters in 2016. The city’s Â local Â tax collection then was only P300,000 – today it is P326 Million. Â The city has been a recipient of good fiscal housekeeping citations Â and good governance attracts loans, grants and accolades. That is your city today. It is a compact metropolis without the stench and complexities of urban giants. It is a small paradise without the snakes prevalent in larger urban jungles. The drug menace could be over soon. It is the Gateway to the country’s most preferred Â provincial destination. Hotels, restaurants and resorts abound.Wearing their hearts on their sleeves. Wanting to tell all who pass through this city why it is more fun in Â the Philippines and the Â most fun in Bohol. It is akin to a “University Town” of three universities and various schools-churning out educated, upbeat and modern youth that adds karats Â to the city’s already golden splendor.It produces graduates that can ride on the wings of the new BPO craze that could put the city as the candidate of an emerging call center haven. Time there was when parents tugged their children to nearby Cebu City just to buy shoes and garments , toys and the like. 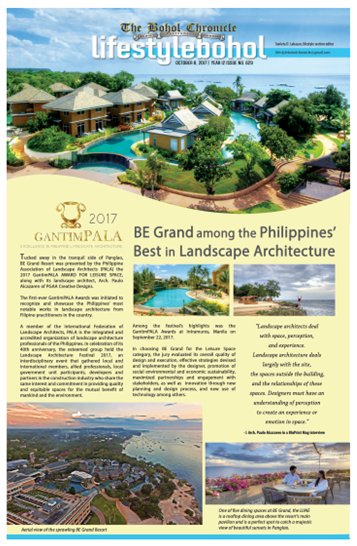 No longer.There are the Alturas and BQ outlets that can compete with the Gaisanos and the Robinsons of this world. World -class theaters? Do not go too far. From over a thousand business establishments , there now 4,000 of them registered in 2016. There is no better Â proof that of Â the Â magnetism engendered by Â commerce, tourism and education- Â than that there are nine flights at the city airport and a morning to night series of ferries and other ships landing at the modern city pier everyday. Taxis, modern cars and conveyances and tricycles replace where once the Tartanilla was King. There is peaceful ecumenism among the Catholics, Protestant, Muslims and the INC groups living in an atmosphere of religious tolerance and respect. Â There is a noisy- sometimes howling media- many articulate opinion makers Â and writers to rival the burst of energy from social media. Democracy thrives here – in more ways than one. Handicrafts, other products Â and food gravitate to the city to be peddled to the consumer’s delight. Night life might be a bit slow-by choice- but hey, Â why not a beer at the Bohol Tropics, Pension de San Jose ,Metro Center , Martins and a few smaller joints for acoustic, pop and rock music?But admittedly, we need more such wholesome places to while the night away. Of course, nothing to complain, Those times in the past only stray dogs and a tipsy drunkard wandered the city streets at 10 in the evening. Now, one can deal with ennui. Oh, the city has grown. Doubtless. But there is so much promise ahead. The best is yet to come. It is a joy to turn gold today. Let us make everything Â we touch turn into gold from hereon.By becoming the best Â persons we can be in this wonderful city. A city is what its people are. Today we turn to gold. Let us remain that way. Happy Golden Anniversary, Tagbilaran City.